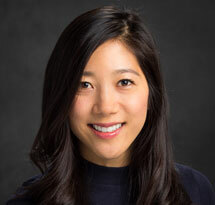 Jane Lee received her PhD in 2017 from New York University Silver School of Social Work. She earned a Master’s of Science in Social Work from Columbia University in 2011. Lee studies the unique role of migration in shaping the health and wellbeing of immigrant populations. Her research moves beyond static descriptions of immigrants’ contextual influences and examines patterns of important health-related behaviors, taking into account current political and socioeconomic shifts. She seeks to understand the specific mechanisms through which migration impacts behaviors and to identify novel approaches to reach and engage immigrant groups. Her current work aims to reduce HIV-related disparities among immigrant populations with specific attention to increasing HIV testing and linkage to care. From 2016–2017, she was principal investigator on a research project to study HIV testing among Latino immigrants, funded by the National Institute of Mental Health’s Division of AIDS Research. From 2011–2016, she was a pre-doctoral research scientist at the Center for Latino Adolescent and Family Health. She was also a graduate research assistant at Columbia University and a research assistant at the National Center on Addiction and Substance Abuse. She has taught classes in diversity, racism, oppression and privilege. Lee has received numerous fellowships and awards, including the SAGE/CSWE Innovative Teaching in Social Work Education Award in 2015 and the National Association of Social Workers’ Emerging Social Work Leader Award in 2014.